“Latinidad is a scale shifting identification, place specific, and has ramifications for national, transnational, hemispheric, and even global modalities of belonging.” It shifts because it starts from our neighborhood, into town and cities, and to the world which begins to represent our identity. Being able to stay with your roots of being Latinx creates Latinidad because as Mexicans, Cubans, Puerto Ricans, Honduran, etc. we all share some similar histories, complex issues, and racial discrimination. Although, we share different cultures we still come in unity during times of crisis and celebration. It’s important to have unity between the Latinx community because we are all thought as one to the United States. Together we fight for our rights and together we stand up for each other. 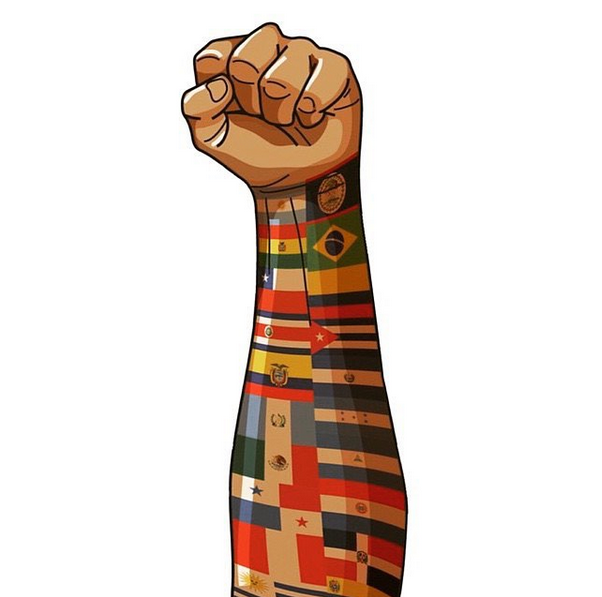 However, with Latinx tension it is yet becoming harder to stand up for one another in a country that everyone considers Latinx to be all the same and from the same country. When standing together, we accomplish so much. Some examples that support this include The United Farm Workers and A Day Without Immigrants. As these events and protests went on, we supported each other and made our voice heard throughout the country. The unity between Latinxs in the United States exemplifies that we as Latinxs are able to put our differences aside and support one another even though the initiator of our tensions is the white supremacy within the United States. Mexican and Chicanxs started migrating from Mexico and southern states to the Midwest in the early 1920’s. Railroad companies seemed to be the main source of employment. Mexicans would make their ways to the big cities including Chicago-IL, New York City-NY, and Grand Rapids-MI to look for jobs to better their lives. Adjusting to different laws and regulations from Texas-Mexican borders was harsh for some new comers. Some would be arrested for minor crimes including prohibition-era liquor laws and gambling. The Great Depression would stop immigrants from migrating North for almost a decade. During the World War II era over 2000 Puerto Ricans were allowed to come fill in industrial jobs that were absent due to Americans being drafted to the military. Beet farms in Michigan as well as other work needed laborers which as an outcome would bring in more Puerto Ricans from their homeland to the United States. Many would reach out to family members and express the amount of opportunities and jobs that were available. As a result many Mexican and Puerto Rican families lived with or next door to each other and settled in the SouthEast side of Grand Rapids-MI. Latinx families would intermingle during the centuries and create a new Latinx identity. Before the Cold War, Cubans were not welcome into the United States because of the Fidel Castro Regime. Although, without the support of the U.S their Latino identity was based on memories of trauma, and how they fought to stay. Cubans changed the way political institutions, federal policies and cultural understanding of what it meant to be American. President Ronald Reagan knew that Fidel Castro was lying to his people causing more to flee to the U.S from communism. Arriving to the U.S, many Cubans were surprised that Americans did not know what was going on in the Caribbean or Central America. Castro had a dictatorship government which stopped the U.S from trying to intervene with the political crisis. This led more Cubans to come to America not knowing they would face discrimination. For example, houses for rent had signs that said “No Cubans” allowed and many public buildings were segregated. After the Cold, War, things began to look different for Cuban refugees. Many Cubans who arrived received permanent residency and were able to get welfare such as food stamps, Cubans-only education, and other benefits that were not granted to earlier Cuban refugees. Miami’s public schools were accommodating to Cuban certified teachers, creating bilingual schools to make learning easier, and Cuban professors found jobs if they lived in Miami-Dade County. After 30 years of discrimination, Cuban refugees began to assimilate more into American culture. Most tension within Latinos in the small midwestern city of Grand Rapids did not include cultural and nationality differences but because of family and friend issues. Dr. Delia Fernandez researched some of these cases in which most had to deal with larceny and threats due to disputes within families. Some instances included physical arguments which would lead to arrests for those cases. “her husband was abusive, she argued that she was a victim of machismo, masculine pride, and excessive authority”, says Delia Fernandez in her article. Dr. Fernandez gives a perfect example on how sexual inequality occurred during the 20th century and can still be seen today. Prior to the Civil Movements in that took place in the mid 1900’s, women were not seen as much in the workplace nor represented in organizations. Males dominated most political figures as masculinity has been known to be the figure of public representations. Women like Angela Davis, Dolores Huerta and many more powerful and brilliant women. In the Latinx community, women have had to struggle with machismo. Machismo basically means one that has a strong masculine attitude towards things. This attitude often comes from Latino men that believe that they’re stronger, better, and more necessary on this earth just because they believe the male body dominates. In the reading “Trading cultural baggage for Gucci luggage: the ambivalent Latinidad of Alisa Valdes-Rodriguez’s The Dirty Girls Social Club,” written by Erin Hunt, clarifies that the six main characters called themselves “sucias” to show how they stand up towards those Latina stereotypes by creating this pun. In recent past years, us Latina women have been trying to fight this stereotype but sinces machismo has been around for such a long time, it becomes difficult to get rid of the stereotype. 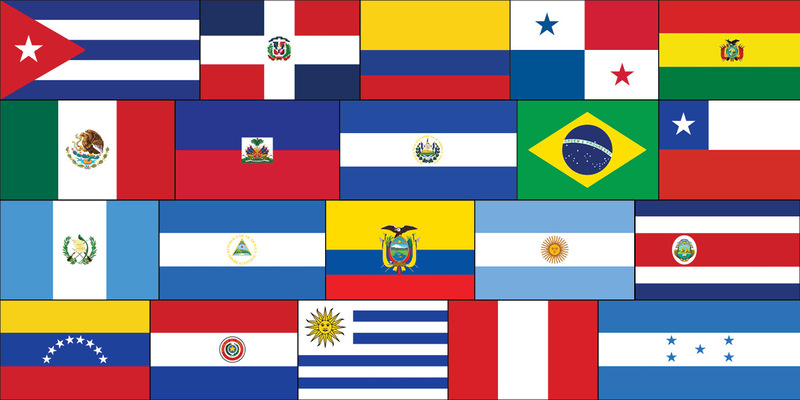 Different national styles of Latin music are highlighted, from Cuban rumba, mambo and son, to Colombian cumbia, Dominican merengue, and Puerto Rican bomba and plena, and those Cubanas/os, Columbianas/os, Dominicanas/os, and Boricuas/os in the crowds cheer emphatically for their own national styles, but also dance the ubiquitous tropical salsas and enjoy the rhythms of other nations, as do the many Black and Anglo Americans also in the crowd. This quote further explains that there is no tension being created, but rather being broken down through different cultural heritages which is a central understanding of latinidad. There was sidewalk drumming and people were dancing to this different style of music while others were tipping the drummers. There was no choreography to this music, but many ethnicities danced differently to the songs and show that there is no right way of dancing as long as there was human movement. This proves that Latinxs come together in celebration and not just in times of conflict. When discussing about tensions, we often refer to Latinx to believe that other Latinos aren’t “Latino enough” due to their lack of spoken Spanish and their lack of involvement from their origin. Yet, no one really knows what “Latino enough” is. In the memoir we read in class, “When I was Puerto Rican,” one could see that the Puerto Ricans themselves, were worried that their assimilation was going to change their traditions and they would no longer be Latino enough. This tension in the United States and in Latin countries has brought up controversy and has created barriers for Latinos themselves. Along with these barriers, Latinxs have also created stereotypes within each other and within their communities. An example being, Puerto Ricans are U.S. citizens, which has brought up a lot of discussion if they are truly Latino enough. All these tensions described, sound as if they were all originated from Latinos, but in reality, it all came from the white supremacy in the United States. Americans are the sole purpose of why Latinxs started to stereotype others because it started from them. Latinos came to the United States to reach their American dream, they started to assimilate into the American lifestyle, but still have not achieved it. As Latinxs adjusted to the American lifestyle, they started to do what others did to be accepted. As a human being our main instinct is to feel accepted and since they wanted to reach the American dream, the stereotyping grew and so did the barriers between Latinxs. These barriers and stereotyping have made it difficult for Latinxs to get along and to also grow together as an ethnicity. The solutions discussed in “Cohering Calle Ocho” and “Late Twentieth-Century Immigration and U.S Foreign Policy” are the memories that Cubans have from home and how they incorporate that with all other nationalities. Miami is has been the most culturally integrated by Latinx refugees besides Cubans. The article by Delia Paredez described Calle Ocho as a proving point as a way Latinxs came in solidarity. There are restaurants such as “Cafe Latina” that provide cuban espresso and Puerto Rican rice which are open to diversity. There are historic sites in Miami that celebrate the Latino identities and histories, “A few blocks away, Cafeteria Guardabarranco’s colorful mural also announces the unity of Cubans with other Latinxs. One end features the faces of Afro-Cuban Celia Cruz, Puerto Rican bandleader Tito Puente, Mexican American Selena, and Argentina’s Carlos Gardel; the other visages of Latin America’s most famous nationalists alongside a bustling scene of traditional village life and the phrase Viva La Raza! [Long live our race! ].” This shows how there is unity in one community and how they use celebrities to empower all Latinxs. For many people in Central America and the Caribbean, Miami is a place to call home as their is no border of what part belongs to which nationality. With these tensions in the Latinx community there are many recommendations that one can make to adjust how latinos think of each other. These tensions, however, cannot be solved easily, but instead we can favor some actions that latinos should do and could come to use. As a Latinx, one could stop judging others based on their heritage (stereotyping). One could also learn about other cultures of other spanish-speaking countries. (1) Santiago, Esmeralda. When I Was Puerto Rican. Place of Publication Not Identified: Marco Book, 2009. Print. (2) Hurt, Erin. “Trading Cultural Baggage for Gucci Luggage: The Ambivalent Latinidad of Alisa Valdes-Rodriguez’s ‘The Dirty Girls Social Club.’” MELUS, vol. 34, no. 3, 2009, pp. 133–153., www.jstor.org/stable/40344860. (3) Fernández, Delia. “Becoming Latino: Mexican and Puerto Rican Community Formation in Grand Rapids, Michigan, 1926–1964.” Michigan Historical Review, vol. 39, no. 1, 2013, pp. 71-100doi:10.5342/michhistrevi.39.1.0071. (6) Guerra, Lillian. “Late-Twentieth-Century Immigration and U.S Foreign Policy: Forging Latino Identity in the Minefields of Political Memory.” (n.d.): 126-49. Print.